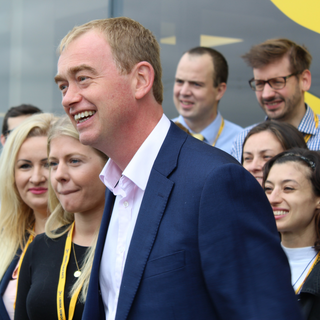 On Friday morning, Liberal Democrat leader Tim Farron laid out a red line on Article 50 and said unless the government agrees to a referendum on the final Brexit deal, the party will vote against Article 50 in the House of Commons. Millions of people are deeply worried by the government's handling of Brexit. They must decide whether or not they agree with the deal that the government reaches with Brussels, which means a referendum at the end of the negotiations where people can either vote for the deal or to remain in Europe. We will vote against Article 50 unless it allows the people a vote on the deal, because the will of the people must prevail - both on departure and destination. The government has no plan and their haphazard approach is leading us towards a disastrous version of Brexit which risks jobs, communities, security and the economic health of the nation. * Chris White is a member of the Liberal Democrat Voice Editorial Team, a Liberal Democrat Councillor from St Albans and Deputy Leader of the LGA Liberal Democrat Group.